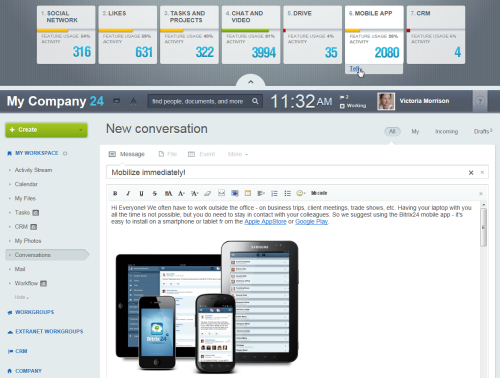 Company Pulse allows you to keep track of how well Bitrix24 is integrated into the daily work of your company on the whole and on a tool-by-tool basis. For each indicator, there is an explanation available. Click the "?" for the full description of this indicator’s meaning. 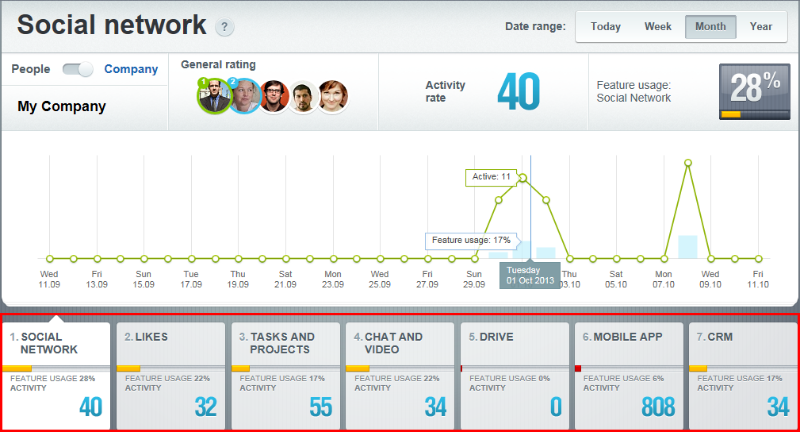 When working in the current day view, for example, the "Likes" tab will show how many likes have been set by the user for that period along with the average for the company and the user’s department. 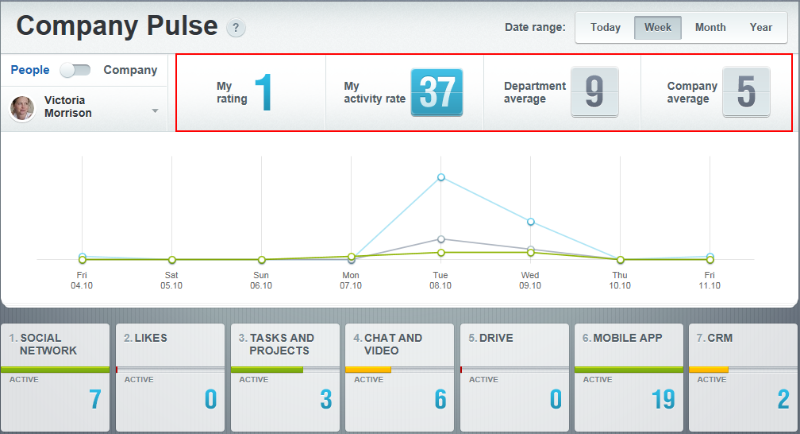 Administrators can use pre-made messages that can be posted into the activity stream to stimulate usage of various tools. 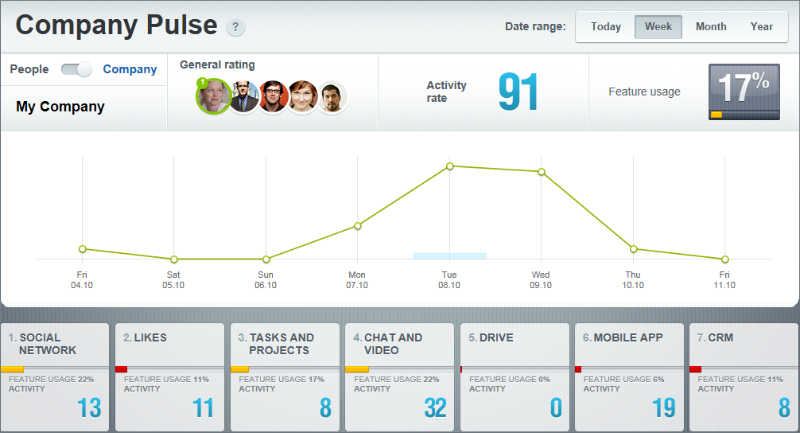 The Company mode helps you analyze the activity of your whole team and assess the 'adoption rate' of individual tools.